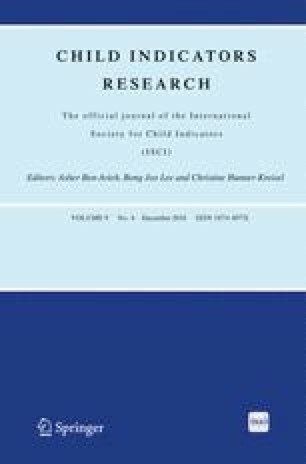 This study examined predictors of positive developmental outcomes, including: life satisfaction; optimism; educational achievement; civic engagement; and positive peer influence; in a sample of young people comprised of a study group (n = 593) facing significant challenges and a comparison group (n = 778) who were progressing more normatively. The study modelled the demographic, risk, and resource predictors of positive outcomes across both groups, and compared the fit of the model across groups using integrative data analysis techniques. Results suggested that positive outcomes were predicted by: resilience; ethnicity; peer problems; depression age; gender; relationship status; and parental monitoring. Although the study group faced significantly (p < .0001) greater levels of adversity than the comparison group, the fitted model was shown to be equivalent across groups, suggesting that general models of positive developmental outcomes can be applied to vulnerable youth. The model also suggests that the pathways to positive developmental outcomes are complex being influenced by a diverse range of factors and that of these factors, resilience appears to be the most important. The authors thank the Ministry of Business, Innovation and Employment (MAUX0901) for funding this research programme. They also gratefully thank all the young people and their supporters who participated in the research. They acknowledge the contribution of The Resilience Research Centre in Canada. Finally, they acknowledge the contribution of The Donald Beasley Institute, Kapiti Youth Support, Youthline Auckland and all the other researchers who helped with the research. Statistics Canada (2010). National Longitudinal Survey of Children and Youth (NLSCY). http://www23.statcan.gc.ca/imdb/p2SV.pl?Function=getSurvey&SDDS=4450. Accessed 30 Mar 2015.